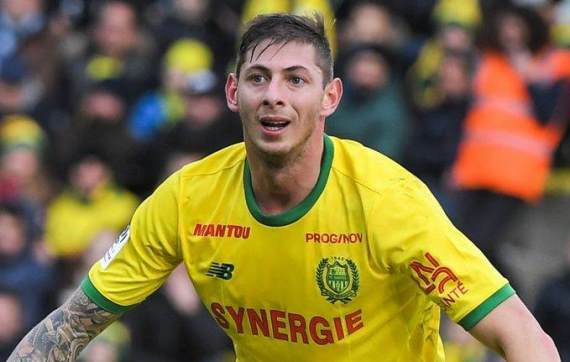 The search for missing Cardiff Striker Emiliano Sala resumed on Thursday morning, with search and rescue yet to recover any evidence. The 28-year-old was flying in a light-aircraft between Nantes and Cardiff when Jersey air traffic control lost contact with the plane at 2300 feet. "We are commencing a coastal search using Channel Islands Air Search plane of Burhou, the Casquets, Alderney, the north coast of the Cherborg Peninsula, the north coast of Jersey and then back over Sark," read a statement by Guernsey Police. Sala scored 12 goals in 19 appearances for Nantes and signed for a record £15m for Cardiff. On Wednesday, Channel Islands Air Search confirmed that they yet to find any wreckage of the Piper PA-46-310P plane. "After an intensive search using multiple aircraft and one lifeboat over the last nine hours, we have found no trace of the missing plane," they said. "With the light now fading, the search will shortly be suspended for the night."